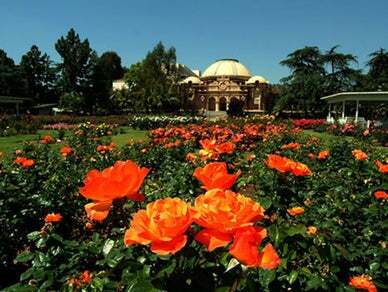 Includes a 7.5-acre rose garden, with 15,793 rose bushes. The garden was an attraction for the 1932 Olympics. It is currently among the three major public-display rose gardens in Southern California and one of the most important in the state.